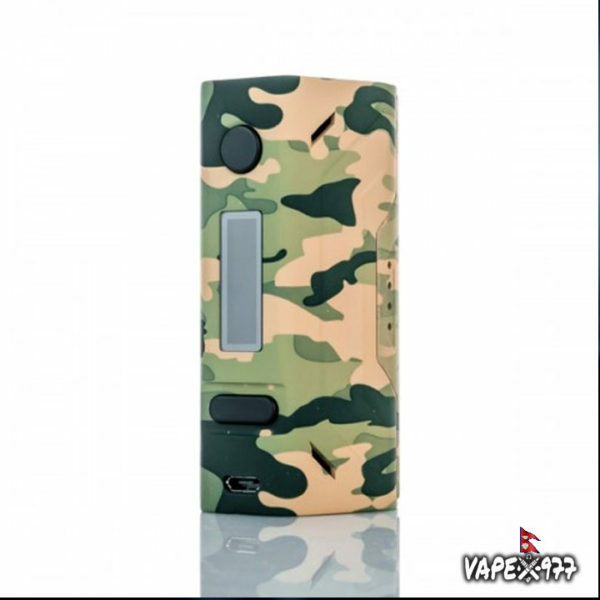 The Smoant Battlestar 200W TC Box Mod is an ergonomic, high performance device with tremendous range, a versatile temperature control suite, and a easy to use rocker switch. The Smoant features a curved and ergonomic design intended to fit comfortably within the user’s hand during use. Power output features an output range of 1 to 200W, with support for atomizers down to 0.1 ohms. The temperature control suite features a wide array of support and versatility for heating materials with Ni200 Nickel, Titanium, and three types of Stainless Steels.